Palak rice is an easy and a healthy recipe that will leave you eagerly waiting for your lunch time. Filled with lots of vegetables and palak, not only is this dish healthy but exceptionally tasty too. Take water in a pan and bring it to boil. Put the spinach and simmer for five minutes. 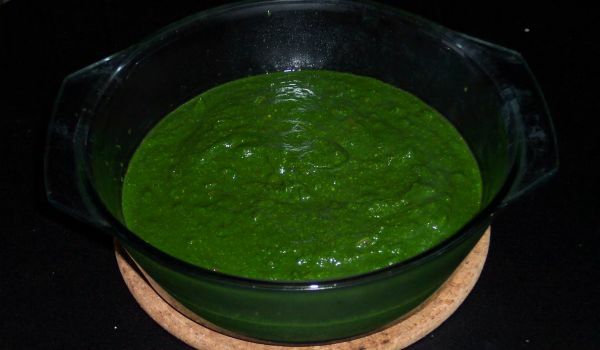 Strain the water and blend the boiled palak with green chillies into a fine paste. Now, heat oil in a pressure cooker. Add bay leaves, cumin seeds, mustard seeds, cloves and pepper in the heated oil. Add onions and sauté till they turn translucent. Add the palak and chilli paste. Sauté for 2 more minutes. Add to the mixture, rice and salt. Mix well. Now, put 2 cups of water and pressure cook. Remove from the heat after 2 whistles. Sprinkle lemon juice over the cooked Palak rice and serve hot.